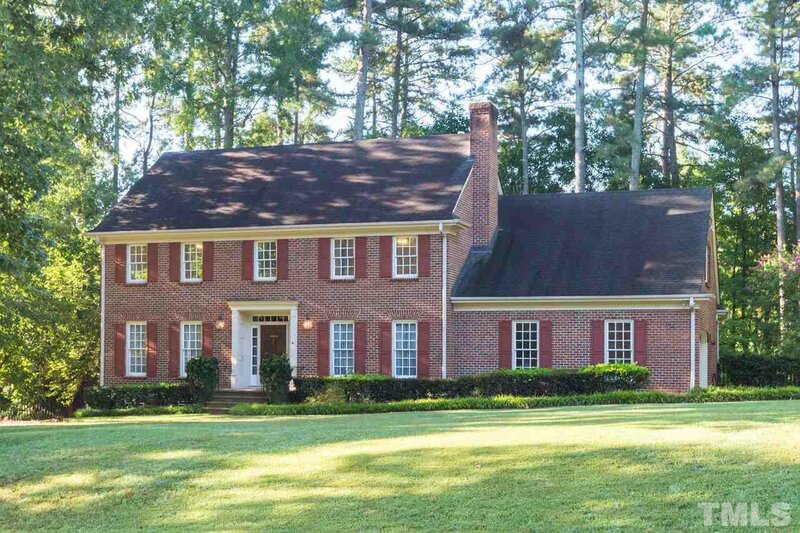 4 bedroom BRICK BEAUTY in coveted LEESVILLE SCHOOL district! GIGANTIC flat front yard, ENORMOUS fenced private back yard, 0.69 acres inside I-540. NO HOA, easy access to shopping, schools & library. Minutes to RTP, Crabtree. Two car garage has fresh paint, ample parking. FIRST FLOOR GUEST SUITE, wood burning fireplace, tons of storage & built-ins. Newer Andersen Renewal windows in Sunroom, house is wired for security system. This home is waiting to be updated to your taste. NO CITY TAXES! Listing courtesy of Steele Residential. Selling Office: .